All via Unmanned Aerial Vehicles. Hurricane researchers at the NOAA Atlantic Oceanographic and Meteorological Laboratory in Miami, Fla., marked a new milestone in hurricane observation as the first unmanned aircraft touched down after a 10-hour mission into Tropical Storm Ophelia, which lost its hurricane strength Thursday night. 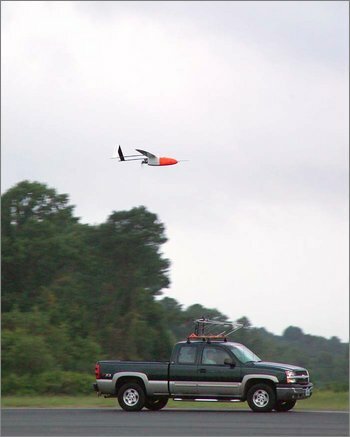 The aircraft, known as an Aerosonde, provided the first-ever detailed observations of the near-surface, high wind hurricane environment, an area often too dangerous for NOAA and U.S. Air Force Reserve manned aircraft to observe directly. Ground operators spot a vehicle committing a traffic violation and then instruct the UAV to follow the vehicle. Police cars stationed in the area then stop the driver and the officers are able to immediately show the violator the infraction recorded by the UAV.